Matt Adams - Superheroes, Sci-Fi, and a Touch of the Fantastic: Attack of the 50FT Cover! You see this thing on the bookshelf, you think it may just take your arm off! 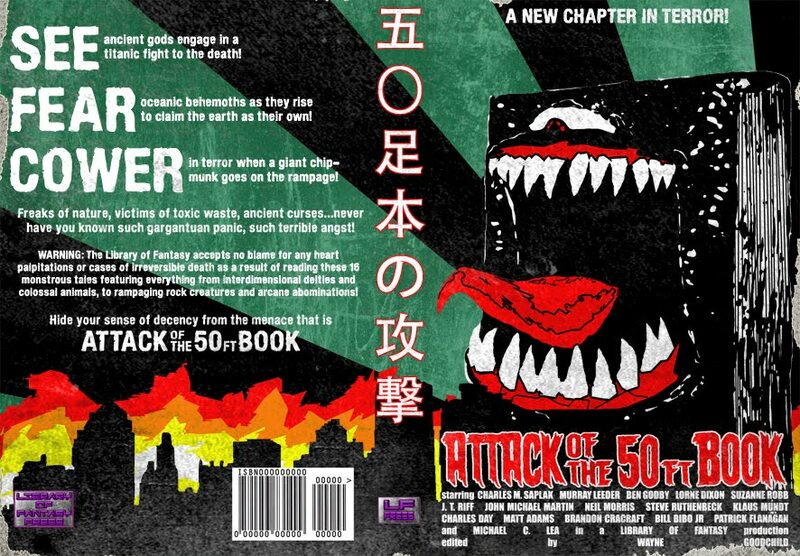 Wayne Goodchild, editor of the upcoming Attack of the 50FT Book sent this image of the cover to all of the anthology contributors. Sounds like this one's coming out soon...my shortie "Gus and Mariel" appears.